Finding the right team to paint your home can feel overwhelming, but with CertaPro Painters® of Richardson, TX you’ll have peace of mind. We are experts that treat your home with the care it deserves. At CertaPro Painters® of Richardson, TX, our trained professional painters will transform your house into something you will be proud of. Book your free estimate now! CertaPro Painters® of Richardson, TX is pleased to provide the best painting services to our customers. 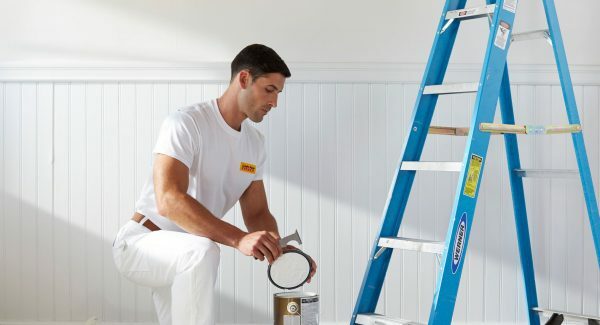 We are, after all, your local painting experts in and around Richardson, TX. They were very efficient and very punctual. They did exactly what they said they would do. They delivered on it. In addition to a final on-site inspection, an independent quality assurance team may contact you after your project is done to get feedback on your project’s final results and your overall experience with CertaPro Painters® of Richardson, TX. See some samples from our house painting portfolio in the gallery below. These are all projects completed in the Richardson, TX area. Contact us today for a free estimate. This house painting project in Dallax, TX involved exterior siding and trim painting. This unique house had several exterior surfaces including shingles, siding and wooden banisters. We brought this kitchen in Sherrill Park, TX new life with cabinet restoration and painting services.